Structural work is an element of many projects, ether residential and commercial. Loft conversions, side extensions, kitchen extensions, refurbishments – most of these projects require structural opening. 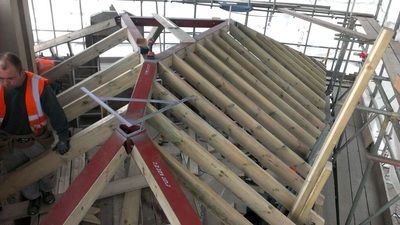 Structural work carries significant risks - a small mistake can create damage to the structure of the building. 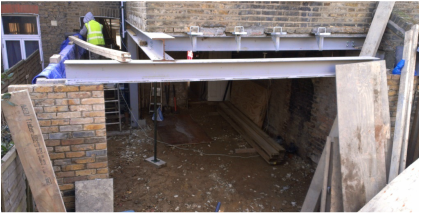 At Werner & Werner Ltd we specialize in small to medium structural steel design and structural works in the London area. Calculations and design are prepared by a fully qualified and well experienced Civil & Structural Engineer – for many years we use the service of one firm of engineers who have over 30 years of experience. Calculations are done sufficiently but not to extend requirements. This is an extremely important factor - it can maximize the space and headroom, lower the costs of the project and shorten installation time. 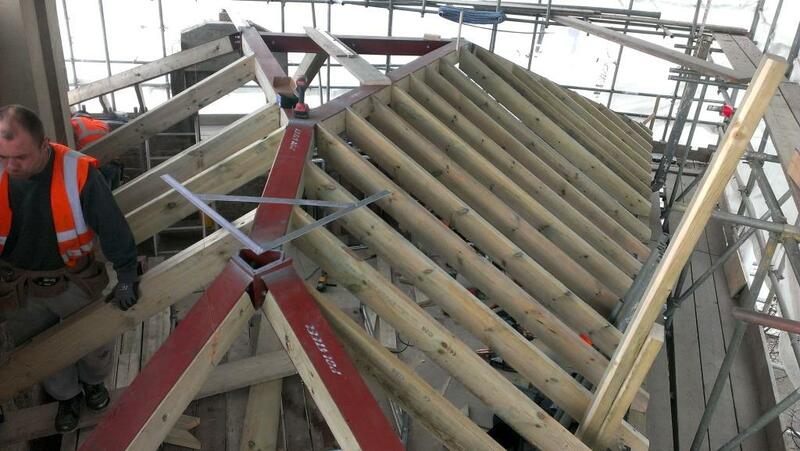 All structural works are carried by qualified installers; our work is fully insured and always completed along with the British Building Standards. We work towards minimizing any risks involved. 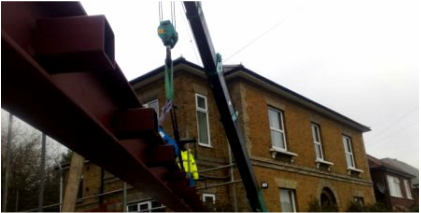 Before starting any steel structure installation on site we thoroughly prepare for the job. 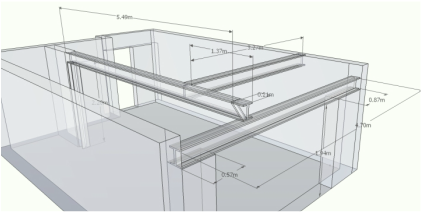 Having structural calculations in place, we prepare a method statement and 3D CAD drawings for steel lengths, angles and locations. This allows us to understand steel beams installation method. The steel is fabricated along with drawings to the exact size. 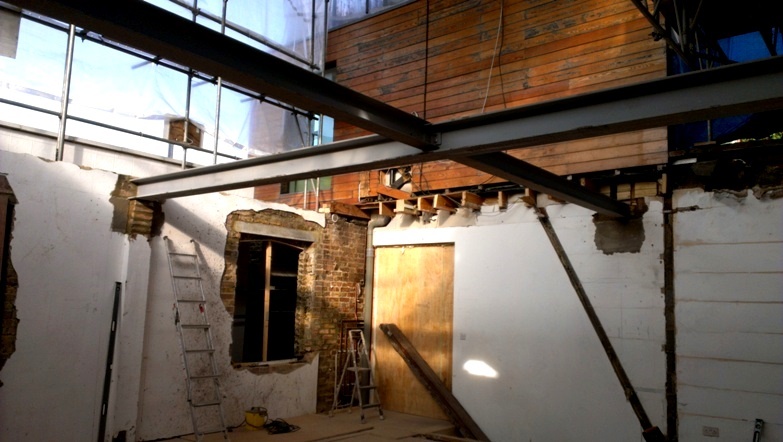 Installation process starts with propping any bearing walls; we always keep the time that the temporary propping is installed to a minimum to avoid any unnecessary stress on the existing building skeleton. At Werner & Werner Ltd we are happy to perform structural works as a part of the bigger project or as a separate task. 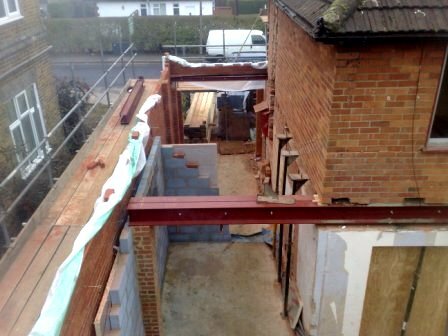 Either structural opening or structural framework – please contact us for a free quote. All our work is overseen by the Building Control Inspector, either arranged by you or by us. During the entire process we never compromise on Health & Safety. If you are thinking of starting any structural works or you are planning to create a new structural opening, both, as a separate project or as a part of a bigger project please contact us at your convenience. We will arrange a free site visit and after gathering all information we will send you a no obligation quote.